This weekend’s re-release of Terminator 2 in 3D very well may be the end of an era. At least, it feels like a period on the modern 3D era that started slowly around 2005, exploded in 2009 with James Cameron’s Avatar, and became almost all-encompassing in the years to follow. Right now, 3D is finally slowing down. The overall percentage that 3D accounts for in total box office has been dropping every year. Even IMAX, one of the biggest and earliest proponents of 3D, has recently started to scale it back. We aren’t going to see a lot more major blockbusters released in 3D if this trend continues. To mark the occasion, though, we decided to look back at movies where 3D really works—films released over the decades that are remembered either for their 3D, or in spite of it. And all of these came out before December 2009, when Avatar sent the trend into the stratosphere. When you think of 3D, you don’t necessarily think of John Wayne—but when you think of John Wayne, you may think of Hondo. The 1953 hit Western, about a man who protects a frontier family, was shot in native 3D with an emphasis less on gimmicks and more on depth of field. However, by the time it was released, there were fewer theaters able to show 3D than there had been a few years before. Therefore, most people haven’t seen Hondo in 3D, or even think of it as a 3D film. But it remains timeless nevertheless. This 1953 Vincent Price horror classic was the first color film released in 3D by a major studio. It was subsequently rereleased several times after, so that new generations of audiences could enjoy its innovative 3D tricks and twisty-turney plot. To this day, it’s still considered one of the best and most influential 3D films ever. Even though it missed being the first ever 3D musical by a few short weeks in 1953, Kiss Me, Kate is probably the most well-known. It’s based on the Broadway play of the same name, about a separated husband and wife who are acting opposite each other in an adaptation of Shakespeare’s The Taming of the Shrew. The early ‘50s unleashed a huge boom in 3D—but by the time this classic Universal Monster movie was released in 1954, the fad had all but gone away. Thankfully the movie, and especially the creature, hold up and continue to be popular today. So while this isn’t known primarily for being a 3D movie, it was shot that way and is shown in that format from time to time. Like Creature, Dial M for Murder was shot in 3D in 1954, but was generally not screened in 3D because it came too late in the craze. Thankfully, this Alfred Hitchcock murder mystery starring Grace Kelly remains absolutely awesome no matter how many dimensions it’s in—and Hitchcock’s initial 3D vision is still regularly shown in cinemas across the world. It can be found on Blu-ray too. Dial M is, by far, one of the best 3D films ever made. This Spanish film released in 1981 is sometimes credited with helping to reinvigorate the 3D trend. It’s not a particularly good movie, but it’s campy and uses plenty of obvious and crazy 3D effects, which soon became the benchmark of the next several years. The film is now considered a cult classic, with recent reissues on home formats. Very few people consider Friday the 13th Part 3 as one of the best Friday movies, let alone a great movie period. But this 1982 film is where the franchise started to really go into the weird places it would explore for the next several movies, making it notable and a must-see. It’s also the film where Jason finally got his iconic hockey mask. Also, before you ask, Jaws 3D and Freddy’s Dead didn’t make this list because, however much you may fondly remember them, they just aren’t very good. 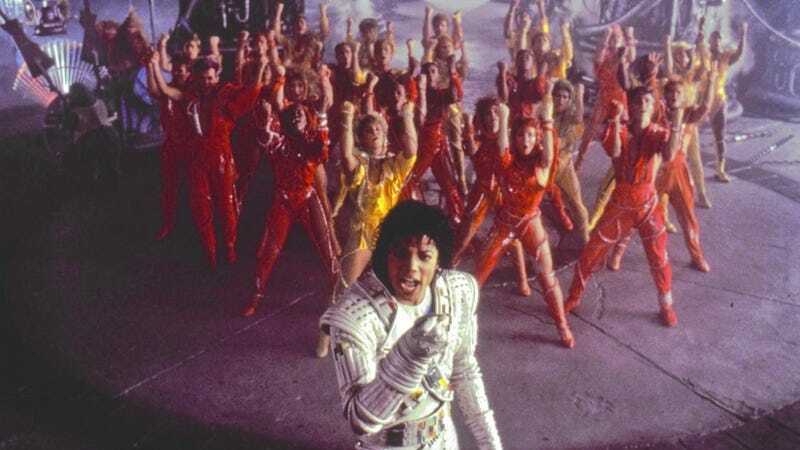 In 1986, producer George Lucas and director Francis Ford Coppola cast the biggest star in the world, Michael Jackson, to do a 3D science fiction film that would be turned into a ride at Disney theme parks. The resulting work stayed in those parks for decades and is revered by most everyone who got to see it. It came and went at the parks many times and is now, most likely, permanently retired. But anyone who experienced it, especially in 3D, will never forget its pure insanity and catchy tunes. Nope, this isn’t the movie that’s back in theaters this weekend. In 1996, James Cameron and the entire cast of Terminator 2 came back and shot a 3D short film that, like Captain EO, was used as part of a theme park attraction. It closed back in 2012 but is notable for having such big names attached to it, including all four main T2 stars: Arnold Schwarzenegger, Linda Hamilton, Edward Furlong, and Robert Patrick. The Spy Kids franchise was always kind of fun, and this entry, shot and released in 3D in 2003, is just a balls-to-the-wall symphony of visual delights. Beyond that, and a super cheesy Sylvester Stallone performances, it’s not that great, but it’s got its moments, and director Robert Rodriguez’s use of the 3D in the movie is just aces. From 2004 to 2009, legendary director Robert Zemeckis went 3D crazy, directing not one but three films that used then-primitive performance capture to create a creepy, dead-eyed-yet-lifelike animated style. Of the three movies, I still think 2007's Beowulf is the best, with the best 3D. It’s not amazing or anything, but, especially when you roll it in with the other two (The Polar Express and A Christmas Carol), it marks a memorable moment for 3D. Laika’s first, and maybe best, film is an adaptation of Neil Gaiman’s fantastic book about a girl who travels to a sinister parallel world. On its own, the movie is a flat-out masterpiece, but when you see it in 3D, you really get a sense of how majestic and beautiful this gothic, stop-motion animated world really is. Up was the first film Pixar initially released in 3D and is probably still the best. Coming all the way back around to Hondo in 1953, this film doesn’t go for the cheap 3D gags. It’s all about depth and sucking the viewer into the world instead of pushing the world out to the viewer. Up was the only Pixar movie that was nominated for Best Picture—not just Best Animated Feature—and only the second animated movie ever to have been nominated for the award. That should tell you everything you need to know.